Is it April already? Hard to believe, but it's true, and that means we need to choose a March Monthly Photo Contest Winner! Congratulations goes to Adah, who sent in this wonderful photo! You can use our design center to create a similar design (or email us and we'll be glad to help! 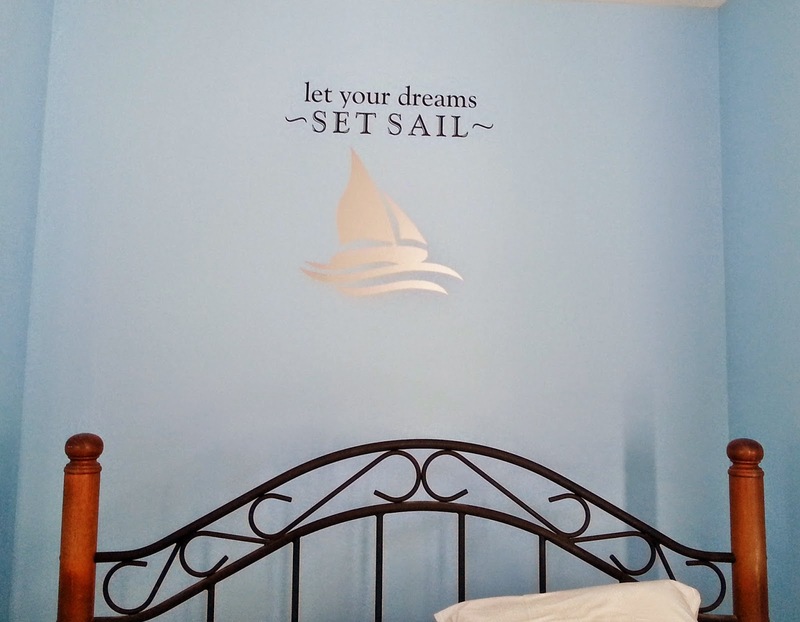 ), or check out this whimsical "let your dreams set sail" Wall Quotes™ decal! Remember to send in your customer photos for a chance to win a $50 shop credit!